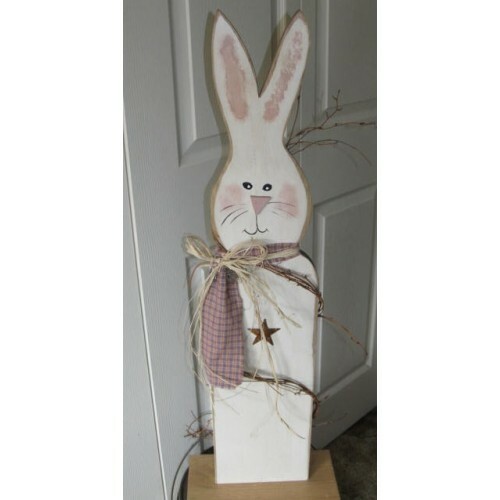 This tall wooden bunny would make a great addition to your holiday decorating! Can't you just see him standing by your door to welcome guests? Let me introduce "Max" the bunny. 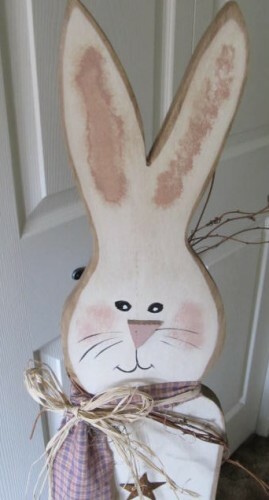 He is a tall painted bunny is secured on a base, the wood distressed bunny is painted a white color, glazed, and finished with a burlap and homespun tie. Grapevine circles around him for a finished great look. 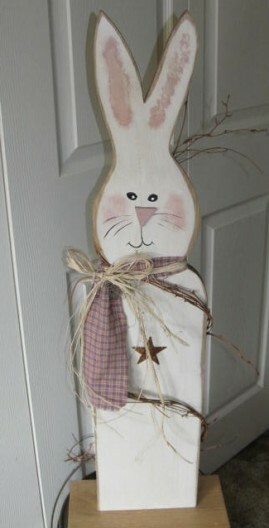 This tall wood painted can be used at any time of year not just for your holiday decor. Check out this Tall country bunny's sister on the next page. They can hop down the bunny trail together!